For some mysterious reason I am attracted to lone birds on bare branches. I’m sure there is some deep rooted psychological reason for this….but I really don’t want to go there. Anyway, I thought it would be interesting to bring a few of them together…. 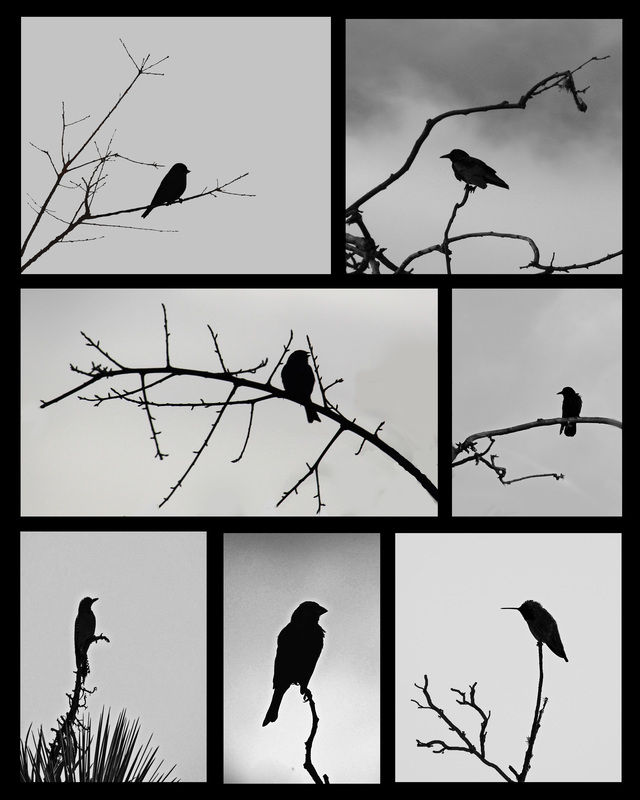 This entry was posted in birds, butterflies, bugs, and other critters, black and white, Photography Blog and tagged bird photography, bird silhouettes, black and white photography, nature photography, silhouettes. Bookmark the permalink. I love that you decided to illustrate and publish this in monochrome. I think it definitely accentuates the “lone”, “bare”, and “deep psychological meaning”. Thanks for sharing! Thank you for your comments. I love the idea of how something quite minimal can be used to express a great deal.